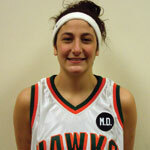 Rockland’s Alyssa Guido was voted the Most Valuable Player of the 2008 – 2009 Mid-Hudson Conference Women’s Basketball Season. Westcos’ Jarrid Famous was voted the Most Valuable Player of the 2008 – 2009 Mid Hudson Conference Men’s Basketball Season. Jackie Inserillo of Dutchess Community College was voted the Most Valuable Player of the 2008 Mid-Hudson Conference Volleyball Season. Shortstop Chris Tucker of Westchester Community College was voted as the Most Valuable Player of the 2008 Mid-Hudson Baseball Season. Robert Sohm of Ulster County Community College was voted as the Most Valuable Player of 2008 Mid-Hudson Conference Men’s Tennis Season.